Almost everyone in the Philippines knows showbiz sensation and exceptional actress and TV host, Anne Curtis. 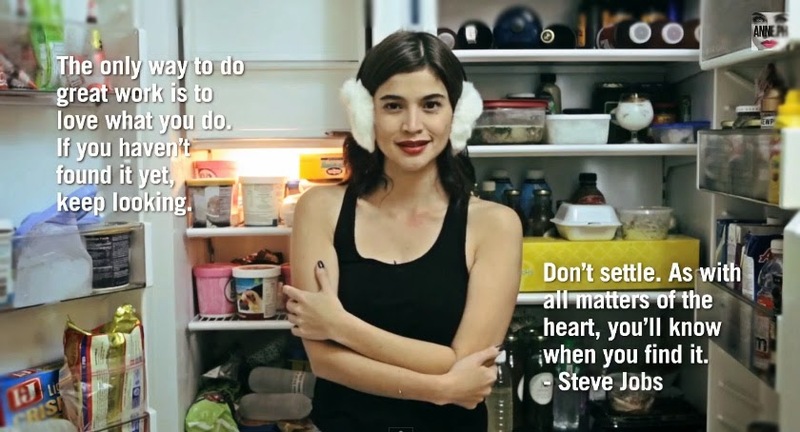 The “Dyesebel” star b rings out her creative side by sharing her favourite inspirational quotes in her latest vlog entry. She released the video clip on her official website last Wednesday. The video has an overall duration of nearly two minutes wherein the 29-year-old actress gets into character with different accents from all over the world. It could be noted that she also wore a few accessories associated with these accents. Some of these could be recognized as British, French, Italian, Australian, Thai and many more. At the beginning of the clip, Anne states in a fun and quirky manner that she thought that she could try and make something different and so she came up with the idea. People are expected to be greeted with amusement by this video clip. The following are her favorite quotes she would like to share to everyone. Not inspired yet? Well, why don’t you go watch Anne’s video clip now? You won’t be just inspired but you’ll also have fun with her as well!